Fans of international handball in Germany have something to celebrate following the announcement of a major TV deal brokered by the EHF’s media and marketing partner for EHF EURO events, Infront. The public broadcaster ARD/ZDF has agreed a three-event agreement for broadcasting rights in Germany for the Men’s EHF EURO in 2020 (Sweden, Austria and Norway), in 2022 (Hungary and Slovakia) and in 2024 when it will be hosted in Germany. European handball’s top national team competition generates considerable interest on the German market. At the Men’s EHF EURO 2016 in Poland, for example, over 13 million TV viewers followed the German team win their first EURO gold since 2004 in the final match against Spain on ARD. 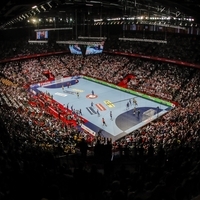 The Men’s EHF EURO is set to become even more attractive to broadcasters from 2020 when the event will expand from 16 to 24 teams. In 2020, Sweden, Austria and Norway will play host with the final weekend to be played in a football stadium – Stockholm’s Tele2 arena – for the first time. Germany’s winning 2024 bid also proposes playing the opening match of the event in Düsseldorf’s ESPRIT arena in front of 50,000 spectators. ARD/ZDF commitment to top-class international handball is underlined by the fact that the public broadcaster has also secured the rights to the IHF World Championship in 2019 to be played in January in Germany and through to 2025.